with “European Jazz” written above it.This meant that all the jazz records arriving from Europe were sold on that shelf. Today, the situation is drastically different. Jazz from other countries is so widespread in the United States that many artists, at least the most notable, are held in the same regard as those who form an integral part of American jazz. As a result, in the United States, jazz is beginning to be thought of as not solely exclusive to American culture, but that it is a musical language that belongs to everyone. modify it according to their own cultural characteristics. How did all this happen? and of jazz that came from across the Atlantic. So where does Italian jazz stand in this process of expansion? It ranks fairly high, I would say. Jazz in Italy grew tremendously in the past twenty years. It is true that there were good musicians even before that time, but no one could ever dream of having international fame like that of today’s Enrico Rava, Stefano Bollani, Paolo Fresu, Enrico Pieranunzi, Danilo Rea, Dado Moroni, Francesco Cafiso, or Roberta Gambarini, just to name a few. Our jazz musicians have not only gained an enviable technical capacity, but the ingenuity of their creations is now recognized by all, even by an audience less familiar with the genre’s technicalities. a great deal of reverence in dealing with that music genre, and there was the fear of being unable to match the great masters. and it became clear that their own culture could enrich the language of jazz Enough copying, then! Let us make jazz according to how we feel, transforming it according to our technique and our feelings. to improvise on a theme – the basics, or the hinges I should say, upon which the language of jazz is modeled. Let us not forget, among other things, that while jazz was indeed born in New Orleans, it was brought forth due to the musical influence that came from Europe (primarily from France and Ireland) combined with the rhythmic and melodic roots from African culture. The Italians also had their say in this process. The first trumpeter to record a jazz piece in New Orleans was named Nick La Rocca (does the last name bring anything to mind?). I can say personally, without being too celebratory, that I have contributed, in conjunction with the Umbria Jazz Festival, to the diffusion of Italian jazz throughout New York, and therefore throughout the rest of the United States. In the last ten years, we’ve taken part in numerous productions, particularly in the most notable jazz clubs in the city: the Birdland and the Blue Note. The audience was large in number and listened with great pleasure to our jazz musicians, who are today well- known and well-appreciated. 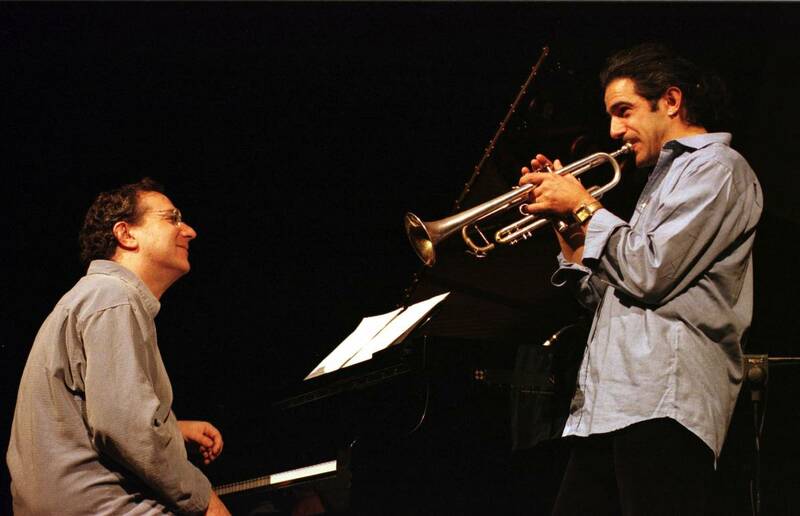 American critics now claim that Italian jazz is the best among those produced outside of the United States, being the most fascinating, creative and original. Aren’t the Italians good at making themselves loved and respected in America? Not to mention proud of it. and mandolins. There is jazz, which is a language that belongs to everyone, and the Italians have shown themselves to be more than capable at knowing how to mould it, by using their own style and class that is characteristic to the cultural products of our country. “TOP ITALIAN JAZZ AT BIRDLAND”. Six nights of great Italian music in the wonderful “Jazz Corner of The World”, celebrating the Year of Italian Culture in USA. Each night a special menu and wines from Umbria served! 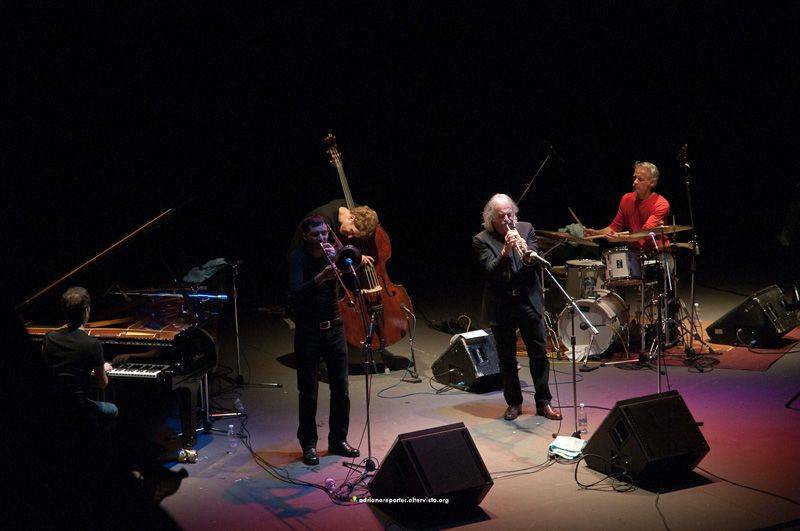 Enrico Rava is undoubtedly the most well-known Italian jazz musician on a global level. Since his rapid rise to fame on the international scene in the mid sixties, he has been constantly involved in numerous original projects, and is considered one of the most important trumpet soloists on the European scene. His individuality on a musical and personal level make him hard to define, a musician who moves outside of traditional limits of genre and style, who refuses to adhere to convention. His style is immediately recognizable, his lyrical sound constantly sustained by an astonishing freshness of ideas which are revealed in all of his musical endeavours. Rava's vast discography includes some real gems of artistic (and perhaps historical) significance, including Quartet (ECM 1978) “Rava l’opera Va” (Label Bleu 1993), “Easy Living” (ECM 2004), "Tati" (ECM 2005) and “The Words and the Days” (ECM 2007) and the latest “ New York Days” (ECM 2009). He has toured in the USA, Japan, Canada, Europe, Brazil, Argentina and Uruguay, with appearances at important festivals (Montreal, Toronto, Houston, Los Angeles, Perugia, Antibes, Berlin, Paris, Tokyo, Rio de Janeiro and Sao Paulo, etc.) 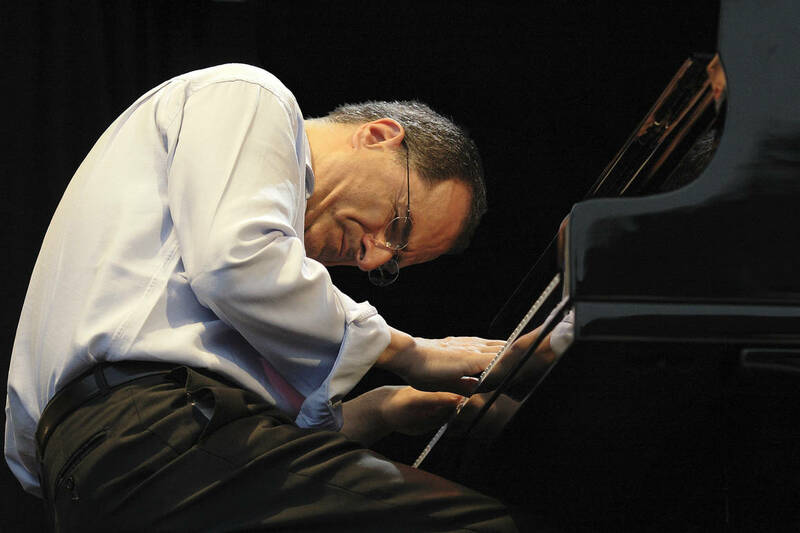 He has repeatedly been named “Best Musician” in the yearly referendum conducted by “Musica Jazz” (Italy's premier jazz periodical), as well as winning “Best Group” and “Best Record”. Named “Knight of Arts and Letters” by the French Ministry of Culture, in 2002 Rava was also recipient of the prestigious “Jazzpar Prize” in Copenhagen. In the last three years, Rava appeared as 4th place in the Trumpet category in the referendums conducted by the American magazine “Down Beat,” following Dave Douglas, Wynton Marsalis and Roy Hargrove. The group includes several generations of musicians, each of whom bring strong personality and solo voices to the table. Since the beginning of his career as a leader, Rava has used a technique favored by many of the greatest jazz artists: periodically inserting young musicians, new talents in his groups, which tend to bring new ideas to the group and give it a fresher sound, respectful of tradition, but open to new possibilities and transformations. Some historic examples of this idea include the groups of Miles and Art Blakey's Jazz Messengers, which, despite respective differences in style, contributed in the “discovery” of many young musicians who later went on to forge important solo careers, in the meantime exerting strong influence as well on their bandleaders. Rava shares this predilection for scouting new talent, which can be easily seen considering the long list of young talents who have been brought to the forefront in part thanks to his intervention: guitarist Roberto Cecchetto, trombone player Gianluca Petrella, and the pianists Stefano Bollani and Giovanni Guidi, a current member of the TRIBE project. A shining example of Italy's latest generation of jazz talent, GIOVANNI GUIDI was named “Best New Talent” by Musica Jazz in their 2007 poll “Top Jazz.” He has released several critically acclaimed albums and has performed in many important festivals, both within Italy and internationally. GABRIELE EVANGELISTA is a very young bass player who Rava met at the jazz workshops in Siena. He's growing by leaps and bounds and is very much in demand with Italian and international musicians such as Roberto Gatto, Kurt Rosenwinkel, Alessandro Lanzoni and Danilo Rea for his extroardinary gifts (interplay, boundless creativity and great precision). Now nearing his fifties, FABRIZIO SFERRA is the founder of the well-known and widely acclaimed trio “Doctor 3.” His experience in widely varying contexts has helped him develop an extremely refined dynamic and rhythmic control, and thanks to his artistic sensibility and versatility, he has come to be considered a true original of European drumming, able to fit into various group contexts, contributing greatly to the sound and interplay of the group. A group composed of such richly varied and original soloists requires a decisive esthetic direction to permit creative dialogue between the musicians; Rava's clear authority as leader stems from his ability to draw out the best from his sidemen, allowing them to reveal their abundant originality within the expressive world of his original compositions. The result is a multi-faceted mosaic of musical expression in constant flux.